The NATO summit held in the Turkish city of Istanbul on June 28-29, 2004 was nothing less than epochal in terms of its geopolitical repercussions, where several historical thresholds were crossed and post-World War II international taboos violated. Some of the decisions reached at the summit were commented upon in the world press at the time as the precedents they were, but the implementation of the same has in the interim come to be accepted as not only an accomplished fact but as within the natural and inevitable nature of things. The multifaceted expansion plans formalized by NATO at the summit will be dealt with separately below and major emphasis will be directed to that least examined aspect, the eponymous Istanbul Cooperation Initiative. The Persian Gulf and beyond will be the main focus of this article. But to provide historical context, the last four NATO summits have been held in Eastern Europe: the Czech Republic in 2002, Turkey in 2004, Latvia in 2006 and Romania in 2008. Three of the four host nations were formerly in Warsaw Pact territory and one, Latvia, was a former Soviet Republic. Latvia and Romania were only inducted into NATO in 2004, at the Istanbul summit, and were the sites of summits themselves only two and fours years later, respectively. What began to happen, four years later to be exact, was that NATO instituted two transitional mechanisms for integrating states traditionally “out of area” (Alliance term) into what were even at that time plans for a global military nexus. The two programs were the so-called Partnership for Peace (PfP) and Mediterranean Dialogue partnerships, both of which were initiated in 1994. The first, with Ireland didn’t join until 1999, included every nation in non-post-Soviet continental Europe not already one of NATO sixteen members (here and henceforward by European nations are designated all but minor entities like Andorra, Liechtenstein, Monaco, San Marino and the Vatican City State) except for what remained of Yugoslavia and two former Yugoslav republics (Bosnia and Croatia, both still riven by post-conflict instability) and Cyprus, and included all fifteen former Soviet republics. In the first category were Albania, Austria, Bulgaria, the Czech Republic, Hungary, Ireland, Macedonia, Malta, Poland, Romania, Slovenia, Slovakia, Sweden and Switzerland and in the second Armenia, Azerbaijan, Belarus, Estonia, Georgia, Kazakhstan, Kyrgyzstan, Latvia, Lithuania, Moldova, Russia, Tajikistan, Turkmenistan and Uzbekistan. Russia would pull out of the PfP in 1999 in reaction to NATO’s war against Yugoslavia, about which more later, and Ireland would join in the same year. Malta, which was incorporated into the PfP in 1995 would withdraw the following year – the only nation ever to have pulled out of a NATO structure – but was dragged back in last year. Also in 1994 NATO launched what it called the Mediterranean Dialogue (MD), a military and political partnership with seven nations on the southern flank of the Mediterranean Sea, on or near its eastern wing and all the way to Africa’s Atlantic coast: Algeria, Egypt, Israel, Jordan, Mauritania, Morocco and Tunisia. With Bosnia (2006), Croatia (2000) and Montenegro (2006) being pulled into the PfP, 17 of 21 nations with coastlines on the Mediterranean are now full NATO members or members of the bloc’s partnerships. Starting clockwise from the Strait of Gibraltar they are: Gibraltar/Great Britain (NATO), Spain (NATO), France (NATO), Italy (NATO), Malta (PfP), Slovenia (NATO), Croatia (PfP, soon to be a NATO member), Bosnia and Herzegovina (PfP), Montenegro (PfP), Albania (PfP, also soon to be inducted into NATO), Greece (NATO), Turkey (NATO), Israel (MD), Egypt (MD), Tunisia MD), Algeria (MD) and Morocco (MD). Berlin’s cohorts in this ongoing blockade include Denmark, Norway, Sweden, the Netherlands and Bulgaria. In other words, a NATO operation in all but name. And one that is slated to be extended to the Mediterranean coast of Gaza. One has to assume that the above initiative was forged in Brussels and Washington and not Nicosia. Should all the above efforts to pull hitherto unaffiliated nations into NATO’s military nexus succeed, that would leave only Syria unaligned in the entire Mediterranean. The Mare Nostrum (Our Sea) of imperial Rome at its zenith never dreamed of such comprehensive control. Neither did the Berlin-Rome Axis of Hitler’s Germany and Mussolini’s Italy, even with the former’s Vichy France proxy’s control of what are now Algeria, Morocco, Lebanon and Syria. At the 1999 50th anniversary summit in Washington, as the bloc was waging its first full-blown war – against Yugoslavia, which then didn’t even border a NATO state much less threaten one – the first post-Cold War NATO expansion was effected. It was not only the single largest extension of memberships at any one time – three countries were brought into the fold – but all the new inductees were former Warsaw Pact members: The Czech Republic, Hungary and Poland, with one, Poland, bordering Russia (the Kaliningrad enclave). Only three years later the Czech capital hosted the next NATO summit and two years after that the Alliance further demonstrated its new drive east by holding a summit in Istanbul, Turkey. That summit make a complete mockery of James Baker’s earlier-cited pledge and in a number of alarming ways. First, NATO accepted seven new members, more than half the number of original NATO members at its founding summit in 1949. Also, it brought into its phalanx six more nations once in the Warsaw Pact (Bulgaria, Romania, Slovakia, Estonia, Latvia and Lithuania), the first two new members on the Black Sea since Turkey joined in 1952 (Bulgaria, Romania), the first former Yugoslav republic (Slovenia) and, what was unimaginable a few years earlier, three former Soviet republics (Estonia, Latvia and Lithuania). The Istanbul summit also signaled an equally dangerous shift in another direction: The south. The Istanbul Cooperation Initiative (ICI) was created to elevate the Mediterranean Dialogue to full partnership status and to initiate a military arrangement with the six nations of the Gulf Cooperation Council – Bahrain, Kuwait, Oman, Qatar, Saudi Arabia and the United Arab Emirates – in the Persian Gulf. 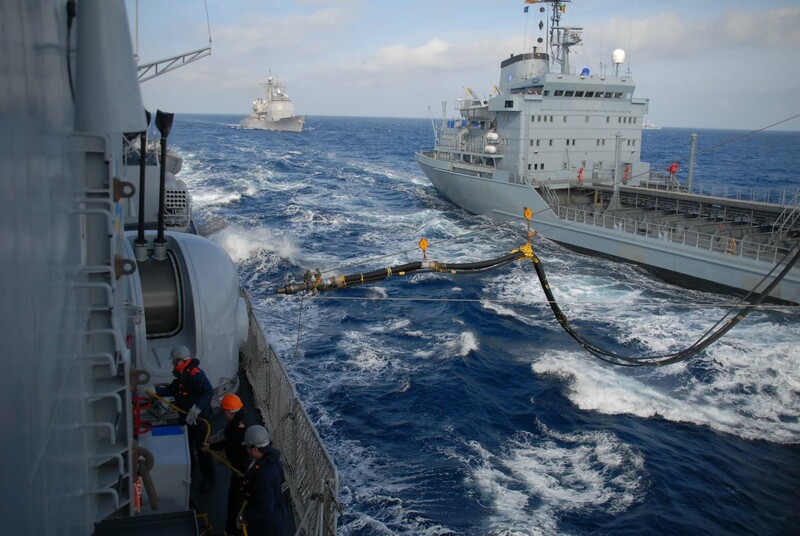 Operation Active Endeavour is the all-encompassing naval surveillance and interdiction deployment that was started in October 4, 2001 under NATO’s Article 5 mutual defense clause and is slated to end…never. The last-named is already being implemented with the annual Cooperative Longbow / Cooperative Lancer multinational military exercises in the South Caucasus – last year in Armenia (which included Istanbul Cooperation Initiative forces), this year in Georgia. In addition to the Alliance filling in another geopolitical gap in its expansion from its Euro-Atlantic metropolis southward and eastward toward what is a self-proclaimed global NATO, and as will be documented later the bloc’s plan to police world energy resources and their transit, the invitation to the six nations of the Gulf Cooperation Council to be integrated into the regional and worldwide ambitions of NATO was aimed squarely at Iran. To both solidify and camouflage what has been, particularly since 1990, a permanent and ever-growing and deepening U.S. military presence in the Gulf, already used to wage two wars against Iraq in 1991 and 2003, since 2004 NATO has been used to ensnare the Persian Gulf sheikdoms and monarchies into a military cordon sanitaire around and a string of basing and transit launching pads for potential attacks against Iran. Regarding the already extant U.S. buildup in the region, it’s worth recalling that the American Navy’s 5th Fleet is based in Gulf Cooperation Council/Istanbul Cooperation Initiative member state Bahrain. The 5th Fleet takes in the entire area of responsibility of the Pentagon’s Central Command (CENTCOM) including 25 nations in and bordering the Persian Gulf, the Red Sea, the Arabian Sea and the coastline of East Africa south to Kenya. The Fleet was decommissioned after World War II and only recommissioned in 1995, in between the two wars against Iraq. The Pentagon’s Central Command headquarters was shifted to Qatar for the war on Iraq named Operation Iraqi Freedom in and after March of 2003. 100,000 U.S. troops were amassed in Kuwait for the initial attack and the nation remains a key transit station for the ongoing wars in Afghanistan and Iraq. Slightly over a year ago the Congressional Research Service in the U.S. reported that Washington had provided $72 billion dollars worth of arms to the six Gulf Cooperation Council members from 1981 to 2006. The Gulf is also an integral part of the U.S.’s plans for a global layered interceptor (Star Wars) missile system and has been for a while. “The Bush administration announced plans on Wednesday to sell advanced anti-missile systems to the United Arab Emirates and Kuwait with a combined potential value of nearly $10.4 billion. It’s upon the above foundation that NATO’s Istanbul Cooperation Initiative is being constructed. Again NATO’s plans regarding energy and military expansion are not only integrally, indeed inextricably, linked but are fully reciprocal. Allegedly providing for “energy security” and “protecting shipping lanes” are in fact just as much the public relations rationale for projecting military power into strategic areas as they are concerns and objectives in themselves. -Integrating the Gulf Cooperation Council states into NATO’s global army. The progressively larger involvement of GCC military forces in exercises in the South Caucasus alongside those of the Mediterranean Dialogue and Partnership for Peace has been discussed earlier. The United Arab Emirates has assigned troops to serve under NATO in Afghanistan alongside counterparts from the Partnership for Peace and so-called Contact Countries like Australia, New Zealand, South Korea and Singapore. In increasingly frequent meetings of NATO Chiefs of Defence, the Alliance’s highest military authority, the heads of defense and other representatives from ICI partners are in attendance. -Employing GCC states to base troops, warplanes, cargo and surveillance for operations both in the area and throughout the so-called Broader Middle East. -Bringing the GCC nations not only under the U.S.’s missile and nuclear umbrella, but effectively under NATO’s Article 5 mutual defense provision, the latter entailing the possibility of claiming that one or more GCC members is threatened by a non-member (that is, Iran) and using that as a pretext for “preemptive” attacks. -Reprising NATO’s Operation Active Endeavor in the Gulf by inaugurating a comprehensive naval interdiction – that is, blockade – in the Strait of Hormuz where an estimated 40-50% of world interstate oil transportation occurs. The following chronology attests to how far these plans have advanced since 2004. During the meeting NATO signed a military intelligence agreement with Kuwait, the first such between the Alliance and a GCC member state. By 2007 four of the six Gulf Cooperation Council members had formally joined the Istanbul Cooperation Initiative – Bahrain, Kuwait, Qatar and the United Arab Emirates – and Oman and Saudi Arabia had not. Oman’s possible objections have been alluded to earlier, to wit that the ICI could embroil GCC states in a regional war should the U.S. and its NATO allies stage a provocation against Iran. Pressure was brought to bear on seemingly refractory Saudi Arabia early in the year. 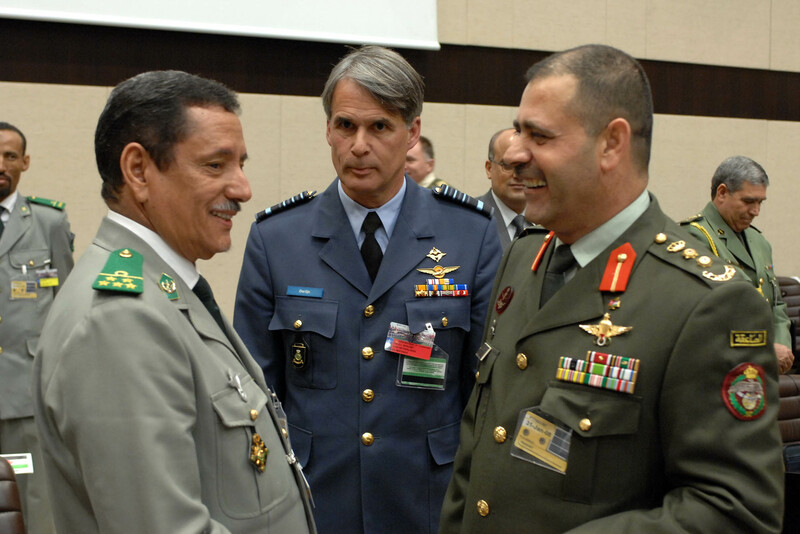 By early 2008 NATO had succeeded in recruiting the first troops from the GCC, Emirati ones, for the war in Afghanistan. To date they are the only contingent from an Arab country serving under the Alliance in the Afghan War. At the same time the new Sarkozy government announced that France was “Setting up a permanent military presence in the Gulf region, where they had no such presence before,” by establishing a base in Abu Dhabi in the United Arab Emirates. With this unprecedented move, as France is a NATO member and the UAE part of the Istanbul Cooperation Initiative, one observer opined that “we can assume that a military base in Abu Dhabi would contribute to a better NATO-GCC understanding. Five months later Kuwait placed a $156 million-order with the U.S.’s Raytheon to purchase the Patriot air and missile defense system. The same month, July, the Director of the Security Office of NATO was in Kuwait to complete the joint security accord negotiated in 2006. In April NATO held its second international conference in Bahrain which was the first occasion in which it openly identified Iran as the target of its Istanbul Cooperation Initiative. “NATO’s secretary-general told Gulf Arab states on Thursday that Iran’s nuclear ambitions were a major threat to regional stability. The following month, right on cue, the U.S., France, Italy, Australia, Egypt, Jordan and all six Gulf Cooperation Council member states – Bahrain, Kuwait, Oman, Qatar, Saudi Arabia and the United Arab Emirates – conducted a joint air force exercise in Bahrain. In October NATO would drop the last veil and expose what the ultimate purpose of the Istanbul Cooperation Initiative was: Preparing for possible military action against Iran. Jean-Michel Boucheron, then outgoing chairman of the NATO Parliamentary Assembly’s Mediterranean and Middle East Special Group, said “that while Nato states did not have the same obligation to defend GCC countries as they would other alliance members in the event they were attacked, Nato would ‘not remain indifferent’ if a Gulf country were subject to aggression. “’Gulf countries are friends of Nato countries and of other western countries, notably France, for example,’ he said, citing Nato’s involvement in the First Gulf War when Iraq invaded Kuwait, as well as French overtures towards establishing a military base in the UAE. 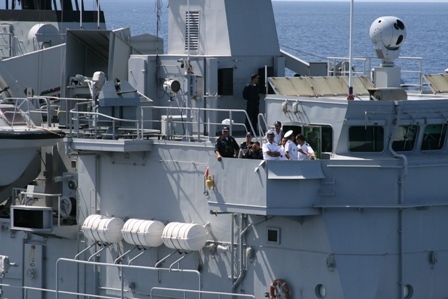 “German, Turkish and US ships are expected to hold their first joint exercise with the Bahraini Royal Navy today. Note that all six Gulf Cooperation Council member states were brought into the war games. 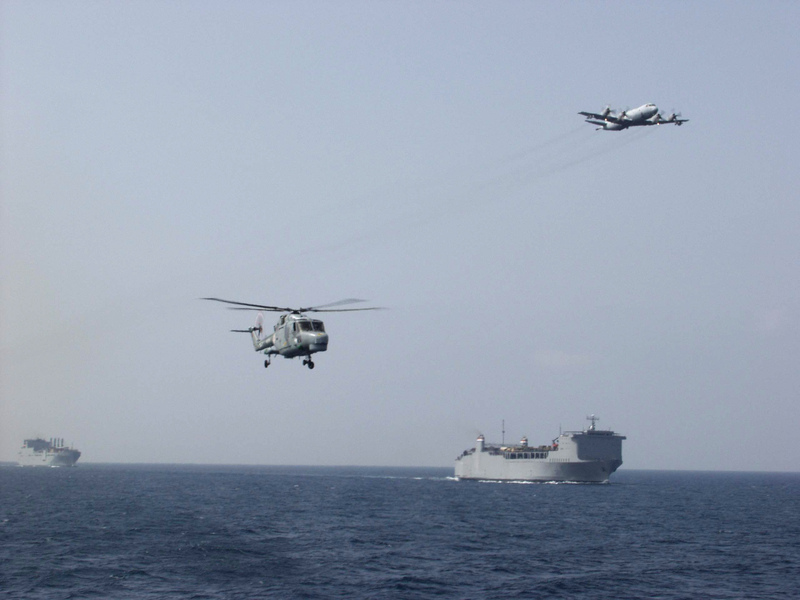 NATO’s penetration of and military buildup in the Persian Gulf continues apace into this New Year. Preparing for the Third World War remains NATO’s mindset and no better proof of it exists than the Istanbul Cooperation Initiative.